Dolphin House is a residential conversion of 112 contemporary apartments in the bustling town of Sunbury. Offering a mix of studio and one bedroom apartments, Dolphin House is an ideal purchase for first-time buyers, couples or as an investment opportunity. Sunbury is a suburb in the Surrey borough of Spelthorne, resting less than 15 miles from Central London. The town benefits from two railway stations which link to London Waterloo and it is located off Junction 1 of the M3 motorway. Residents can enjoy living in a picturesque area, surrounded by leafy green spaces, ample amenities and good schools. The town is also steeped in history and tradition and plays host to the established Sunbury Regatta each year, giving this area additional appeal. Another superb and exciting nearby attraction is Thorpe Park. Boasting over 30 rides and live events, there could be no better place for thrill-seekers. 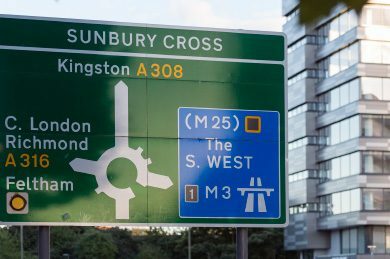 Sunbury has an excellent transport network, benefiting from easy access by car to the M3, M25 and Heathrow Airport. 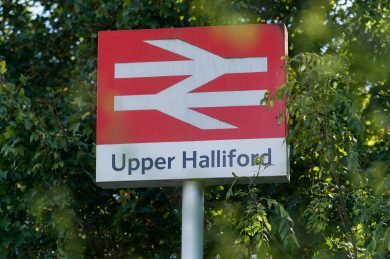 London Waterloo can also be reached in 50 minutes by train from Upper Halliford Station. 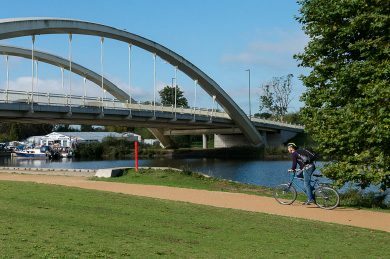 Sunbury-on-Thames neighbours the London boroughs of Hounslow and Richmond upon Thames and is a just 15 minute car journey away from the vibrant Walton-on-Thames. Sunbury is served predominantly by three bus routes, the 216, 235 and 290. From Dolphin House the cycle route to Kew Bridge is around 15 miles. If you’re feeling adventurous, follow the Thames Path and the greatest river in England for 184 miles from its source in the Cotswold hills to the sea. Heathrow can be reached in 12 minutes by car, and Gatwick in 35 minutes from Sunbury. The 555 bus also connects Heathrow airport to Sunbury. Dolphin House is served by two train stations, Upper Halliford and Sunbury which are on the same South West train line. Regular trains run to Shepperton, Wimbledon and Clapham Junction. The interior design is simple and elegant. Fresh and neutral palettes are combined with oak flooring, bespoke modern kitchens and contemporary bathroom suites to continue the bright and uplifting feel throughout the apartments. Each bedroom has been given its own built-in sliding wardrobes, containing a fitted rail and shelf for ample storage and the room is neatly finished with a neutral carpet. Look a little closer and you’ll find plenty of finer details at Dolphin House that give the apartments those all-important finishing touches. Walls & ceiling finished in white matt emulsion. Water – will be through energy efficient electric Megaflo direct unvented hot water cylinder. USB sockets to bed head positions. Bin store with CCTV monitoring and fob only access. Sunbury has an abundance of pubs serving good food and gastro fare. In many, you will benefit from having both cozy, fireside welcomes in the winter and scenic riverside views in the summer. The town also has an array of international dining options such as Indian, Italian, and Chinese, and with Sunbury closely bordering other towns and linking to London, you will never be short of dining choices. Sunbury boasts a wealth of sport and leisure facilities where you can participate or spectate in several different activities. It is home to Hazelwood, the training grounds of the English Rugby Union Club, London Irish RFC as well as the vibrant Sunbury cricket club and the thriving Sunbury and Walton Hawks Hockey Club. Sunbury also has two leisure centres which are both equipped with a gym, a host of exercise classes and a swimming pool. Or why not relax on the river and hire a boat for the day? There are plenty of idyllic spots along the banks to moor up at. 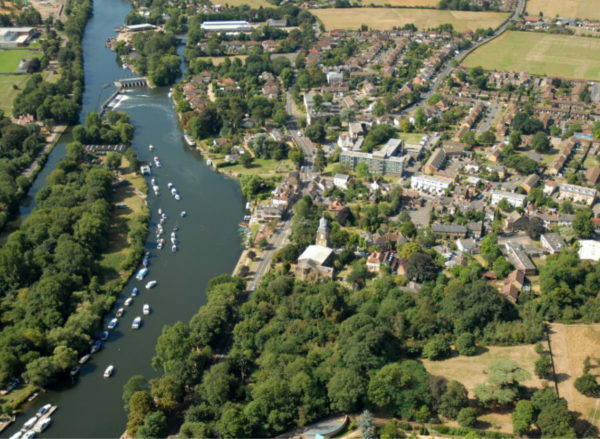 Rivermede Island is common land in Sunbury-on-Thames and is famously known as the home of the annual Sunbury Regatta. This 2 day family event, involves plenty of skiffing and punting, food stalls, music, old fashioned entertainment and fireworks. Bushy Park is the second largest of the capital’s eight Royal Parks and is home to a huge number of wildlife and habitats. Just 10 minutes away by car, this destination offers a diverse mix of activities ranging from walks and sports to bird and deer spotting, plus a sandpit and adventure playground for children. Take an amble along the River Thames and be rewarded by the majestic sight of Hampton Court Palace. Once, Henry VIII’s favourite residence, visitors are invited to take a tour of the historic residence, enjoy a stroll in the gardens or lose themselves in the famous maze. Rugby fans will be pleased to know they will reside less than 5 miles away from the Home of England Rugby, Twickenham Stadium, ‘the largest dedicated rugby union venue in the world’. With the ability to seat up to 82,000, you can be almost certain you will get the chance to soak up the excitement of a match day. 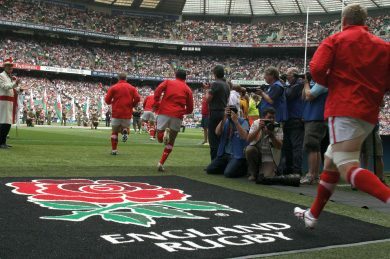 A versatile venue, Twickenham also plays host to big music names, offers stadium tours and boasts its own Museum. Nearby towns of Twickenham and Richmond offer a variety of well known high street stores and independent boutiques where you can source anything from clothing to gifts. Richmond also boasts a brilliant Farmers Market every Saturday. Sunbury is home to Kempton Park, a racecourse steeped in history, which hosts all year round quality horse racing, including the famous King George VI chase held every Boxing Day. And if this doesn’t satisfy your race-buds, Sandown Park is a 20 minute car journey away. IDM’s Property Management department will take on the management of any sized buildings from a single flat for a private landlord to freeholds of large mixed use buildings. We offer a complete range of property services for residential property owners, landlords and developers. IDM retain the freeholds of our own developments and carry out the block management once the development has been completed. If you are looking at an investment property IDM will be able to offer a full service carrying out the management of your property once you have completed the purchase. IDM Interiors offers a wide range of furniture solutions for residential properties. Whether you are investors requiring a complete package for fully furnished rental properties or you simply need a sofa for your new home, we offer a tailored service based on your individual needs.